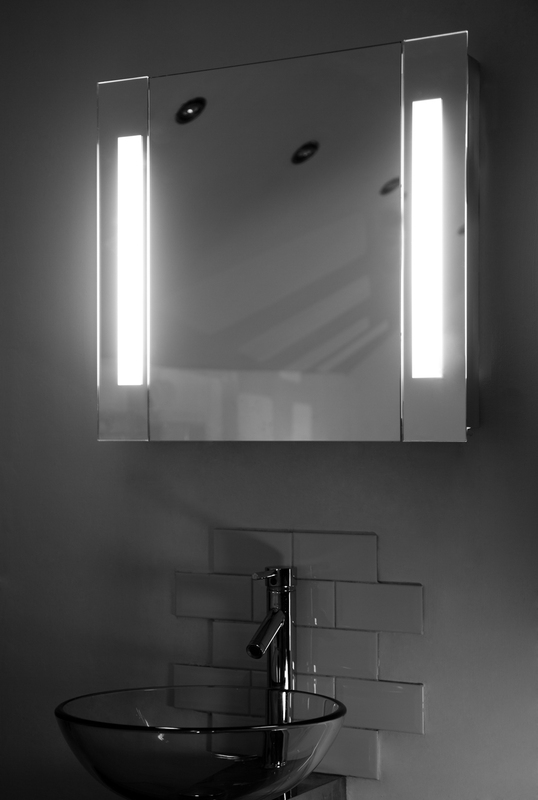 Welcome to another blog giveaway and this week I’m thrilled to be offering a fabulous Audio Bathroom Cabinet from Illuminated Mirrors worth £264.99. This is no ordinary bathroom cabinet because as well as a stunning look it includes speakers and bluetooth capability enabling you to listen to music in the bathroom without the use of headphones or worry of water damage. The concept is simple; you connect your mobile phone to the cabinet’s Bluetooth, and start playing your chosen track. The track is then played through two marine grade, high quality waterproof speakers on the top of the cabinet! If you don’t have Bluetooth connectivity, or simply prefer a more direct connection, the cabinet also features a jack that can be plugged into phones, MP3 players and iPods. The prize is an Audio Bathroom Cabinet from Illuminated Mirrors worth £264.99. There is no cash alternative. Next Post Is Double Wood Interior Design In or Out of Fashion? tweeting as @imhappypoppy. fab prize Following all on twitter as well. Subscribe to the blog by email – done Thanks! following Illuminated Mirrors on Twitter. Tweeted @MooTheMadCow 🙂 Now is that enough words? tweeted as @magicmoondust, fabbbbbb giveaway! Also followed on FB and Twitter! I have subscribed to the blog. Tweeted! wow fingers crossed ironically we are starting to plan our new bathroom and this would be fantastic! what timing for this competition!!!! I have tweeted the required text as @UkPseudo. Followed Illuminated Mirrors on Twitter as @UkPseudo. Followed Love Chic Living on Twitter as @UkPseudo. Liked Illuminated Mirrors on Facebook. I am subscibed to the blog via email, thank you. I’m subscribed to your blog by email! Finally saved enough to buy my own home after working 7 day weeks….now need to keep working to kit the house out so this would be a perfect prize!! Tweet away! I was given council flat last year. Bathroom is very old-fashioned. I tried to make it a bit nicer with decorations and some modern furniture. I didn’t buy mirrored cabinet as I run out of money. I would love to win and display it with some pink decorations.It would definitely make bathroom more modern. I have tweeted the message, aka @susan_el for the gorgeous mirror. Just tweeted, followed x 2 & liked, thanks! Genius! Now I have seen everything. Tweeted , following on Twitter x2 @grantonharbour and liked on Facebook. Brilliant prize – so want one! Following Love Chic Living on Twitter. tweeted as @flicksan – saving to do our 25 year old bathroom and this would be AMAZING for it!! Wow what a prize, my ACDC could sound awesome in my bathroom. Also tweeted the message. Completed all the tasks. It’s wonderful. Hope I win! I have liked Illuminated Mirrors on Facebook. My fiancee is always complaining we need a decent mirror in the bathroom. Absolutely Fabulous! This would look so fantastic on my totally bare bathroom walls. Amazing. Subscribed. Hoping I’ve done everything now possible. Thanks for the opportunity. Hi, I’ve tweeted your message. Gorgeous mirror! !